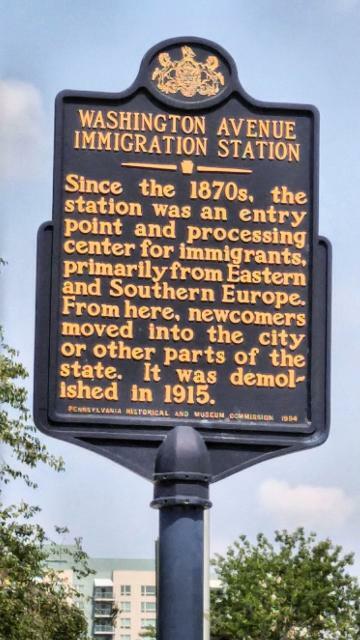 Since the 1870s, the station was an entry point and processing center for immigrants, primarily from Eastern and Southern Europe. From here, newcomers moved into the city or other parts of the state. It was demolished in 1915. This marker can also be identified by its HM code. You can use the hashtag #HM1JO3 in tweets, and any other place where you might refer to this marker, including when searching on this site.